Just enough french country romance is built into the Amish Arlington Corner Buffet with 1 Drawer. The short legs are sculpted and curved just right, the raised panel doors take on an unpredictable design and the creative drawers and pull out board make this wood buffet unique and interesting. 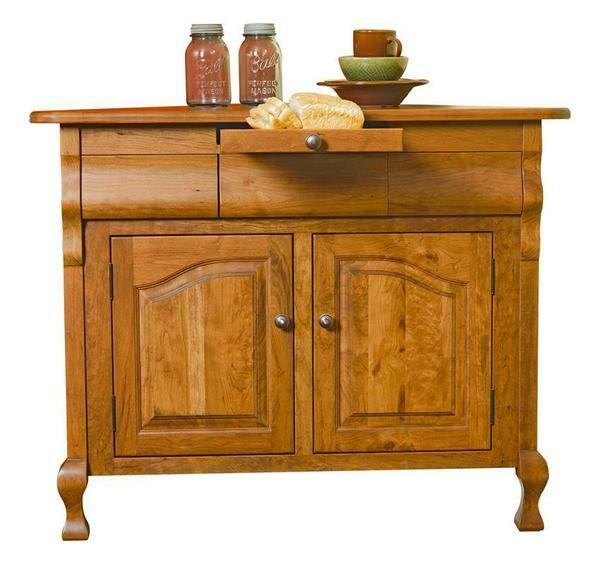 The Amish Arlington Corner Buffet with 1 Drawer is shown here in rustic cherry wood with redcreek stain. Add just the right storage to a quiet corner with this beautiful wood furniture. The custom options you select will determine the final look to match your decor best. Please email or call us with any questions. Thank you for shopping with DutchCrafters.